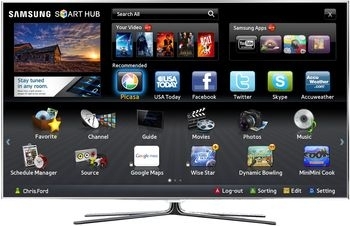 Manufacturers of smart TVs will struggle to generate meaningful revenues from their new net-connected platforms despite accelerating demand for the devices, according to US research firm The Diffusion Group (TDG). The report predicts that portal fragmentation alone will result in US$ 1bn in lost ad revenues, as consumers grow dissatisfied with the portals built into their new smart TVs quickly being made obsolescent due to the speed of new apps and services entering the market. This is expected to inevitably drive consumers away from using their smart TV to access online video and towards less expensive devices such as connected games consoles, Blu-ray players and media receivers. Dixon also points to the dramatic consequences of platform fragmentation that currently characterise the smart TV industry, and that frustrate advertisers struggling to decide which platforms to support and how to best integrate multiple outlets into their workflow. When combined with gaps in the product upgrade cycle and the speed at which competitive ancillary platforms are leapfrogging smart TVs, TV OEMs are set to face significant challenges even as platform sales experience rapid growth, predicts TDG.